There are chairs that make a true splash when they hit the massage chair market. Then, there are those that soar to the top of the pack. The Cozzia 16028 is the latter. This chair is doing more than just adding itself to the lineup of the massage chair options. 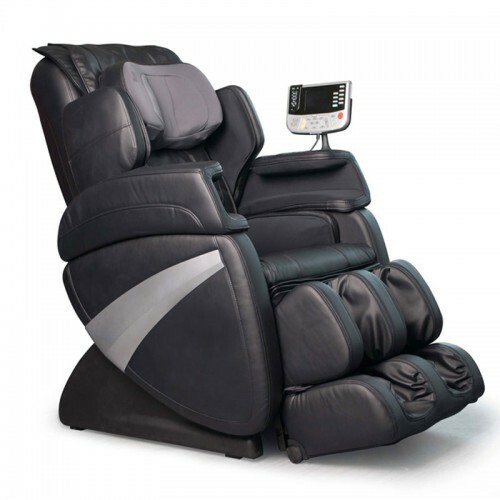 It is making users very happy in an economically and reasonably priced massage chair choice. From the addition of heated features to the other amazing options that are attached to this chair, it is no wonder that users are reacting so positively to this new addition. If you are unsure if this is the right chair for you or want to learn more, the review below takes a look at the features that this chair has to offer. More and more chairs are offering a zero gravity feature on the massage chairs, and the Cozzia 16028 is no exception. This chair has this feature which allows the individual user to recline in a way that makes them feel near weightless. This adds its own element of additional relaxation. It also does something else. The zero gravity feature helps to extend and open the body so that it can absorb the massage in an amazing way. 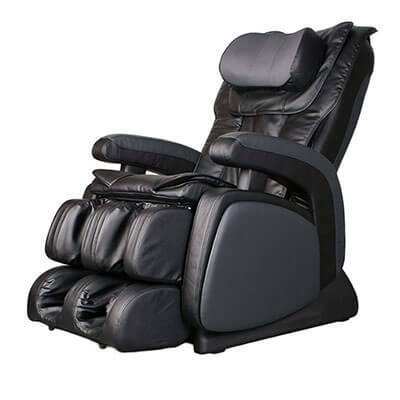 The zero gravity allows the user to be relaxed and deepens the effectiveness of the massage, also adding to its popularity in the massage chair market. The Cozzia 16028 does not just want to blend in. It really wants to stand out and one needs to look no further than the quad roller system to see how impressive the design of this feature is. The roller system is more extensive because of the directions that they go. The quad roller system goes both vertically and horizontally. This allows the muscles to be elongated and feel more relaxed, more so than just in a traditional massage chair. The system also has a scan feature that makes the rollers work better. The reason? The scan feature actually figure out the width and height of the individual so as to tailor the massage to that particular person’s needs. It is no wonder, with this impressive feature, that buyers are reacting so positively. Programs are an important part of any chair. They, essentially, dictate how the massage will go and where it will focus. The best massage chairs provide options and the Cozzia 16028 is no exception. Among the different programming options are a rolling massage that cascades down the body. There is also an air massage that helps to relax the body and focus on hitting all of the problem spots. For those that do not want this type of controlled or programmed massage, however, there is no worry. The Cozzia 16028 has manual selections as well. That means that the individual can choose where they want the massage. The Cozzia 16028 has a heated feature, too. This feature helps to bring the user even another layer of additional relaxation. Heat helps to relax the muscles and this allows the additional massage features to really do their work effectively. The user can control the heat and that also makes it great as it is not automatic or required. For those that have sore muscles or problem areas, the heat can be an amazing addition and can really elevate a massage. Be sure to check it out! The Cozzia 16028 is absolutely exceptional in the design. There are fake-leather features that appear real, which gives it that lux feel. It is also another of the reasons why people are falling in love with this chair as it appears extremely luxurious without having that high-end price tag. The classic design also means that this chair can fit into many different home or office designs, too.